Eugene Walter “Walt” Buehner born December 7, 1925 in Salt Lake City, Utah to Otto and Ruth Folsom Buehner, passed February 4, 2016 at his home in Gilbert, Arizona. Walt was preceded in death by his parents and missionary son Jeff. He is survived by his devoted wife of 64 years, Joanne Neeley Buehner, daughter Jody Clawson (Randy), sons Jon (Shelly) and Jim (Richelle), foster son Dubin Sandoval, 12 grandchildren, 11 great grandchildren, and his beloved sister Janice Duffin (Tom). Walt grew up in Salt Lake City, learning the block and precast stone business from his father. He served during WWII, and later fulfilled a mission to New Zealand for the Church of Jesus Christ of Latter-day Saints. 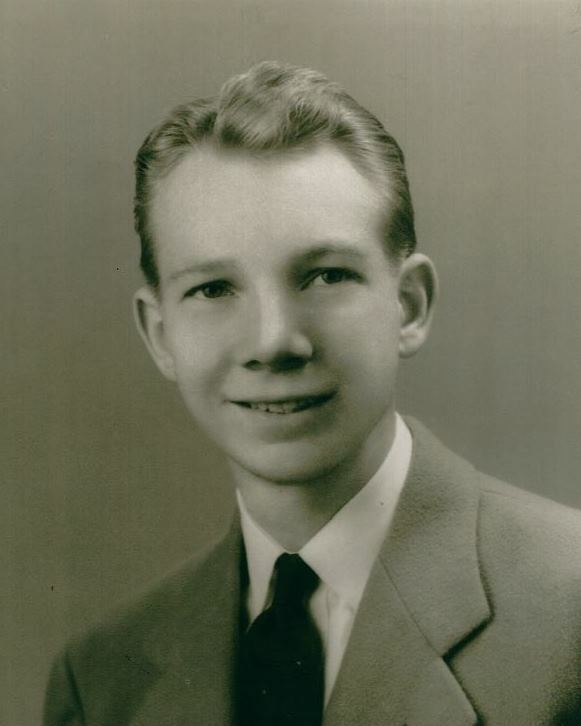 Walt was fortunate to extend his mission service for 1 year by helping to build the Church College and prepare the New Zealand Temple site. His mission and the Maori people profoundly affected his entire life. Walt had secured a promise from Joanne she would wait for him, and after his return they were married in the Salt Lake Temple. After Jody and Jeff were born, the family relocated to the Phoenix area to begin what was to become a prosperous precast business, which is evidenced by buildings throughout the west, including Chase Tower, The Arizona Senate and House buildings, Chase Field, Suns Arena, ASU entry signs, and more. Walt was a lifelong member of the LDS Church, serving in many positions, but most of all was a devoted Husband and Father. Walt also loved spending time at his cabin near Yellowstone. Walt and Joanne relocated to Gilbert in 1978 from the Arcadia district to allow space for growing family, horses, citrus trees, and vegetable garden. He was proud of his pioneer heritage and loved relating stories to all he would come in contact with. Many welcomed to his home were served soft serve ice cream. Walt made friends wherever he went and will be dearly missed. There will be a visitation from 6:00 to 8:00 PM on Wednesday February 10, 2016 at Bunker’s, 33 N. Centennial Way, Mesa and Funeral Services will be held Thursday, February 11, 2016 at 11:00 AM at the LDS Chapel, 234 N. Greenfield Road in Gilbert with a viewing one hour preceding the service. There will be a visitation on Saturday, February 13, 2016 at Larkin Mortuary, 260 East South Temple from 10:00 to 11:00 AM, and Interment will be at noon on Saturday, February 13th at the Wasatch Memorial Lawn cemetery in Salt Lake City, Utah.